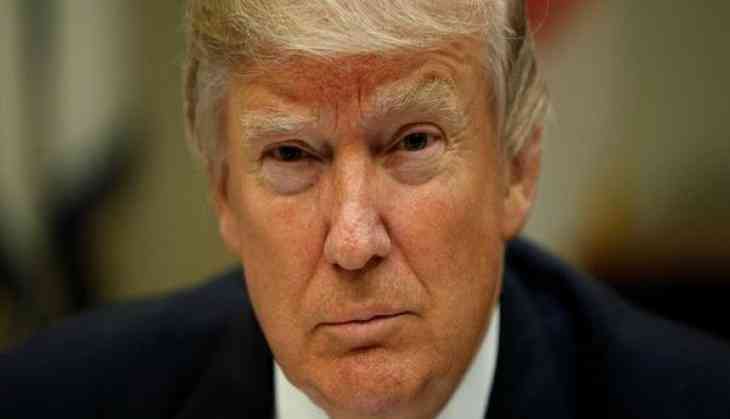 United States President Donald Trump on Monday directed Justice Department to release a series of highly sensitive documents and text messages in connection to the investigation into the alleged Russian meddling in the 2016 presidential election. White House press secretary Sarah Huckabee Sanders said that the move was made "at the request of a number of committees of Congress and for reasons of transparency." The documents and text messages that would be declassified include the Foreign Intelligence Surveillance Act warrant on former Trump campaign advisor Carter Page and the Russia investigation, The Hill reported. Sanders added that the US president has also ordered the Justice Department "to publicly release all text messages relating to the Russia investigation, without redaction, of James Comey, Andrew McCabe, Peter Strzok, Lisa Page, and Bruce Ohr." The decision will please House conservatives who have been lobbying for the release of the sensitive documents, saying it would support their claims that the Russia probe was marred by political bias. However, the move may trigger tensions with the Democrats and law enforcement officials, wherein they have stated that the order is an "improper effort" by Trump to interfere in the investigation. Trump has been a vocal critic of special counsel Robert Mueller's Russia probe and has repeatedly called it a "witch hunt" and "unnecessary." Mueller is currently investigating the possibility of Russian interference in the 2016 presidential poll and a possible collusion between Moscow and Trump's electoral campaign. On Sunday, Trump had once again hit out at special counsel Mueller's investigation on alleged Russian meddling in the 2016 presidential election, saying that the latter is continuing his "search of a crime." Taking to his Twitter handle, the US president had written a strongly-worded statement, claiming that there was no collusion with Russia and that the probe is "not allowed under the law." "The illegal Mueller Witch Hunt continues in search of a crime. There was never Collusion with Russia, except by the Clinton campaign, so the 17 Angry Democrats are looking at anything they can find. Very unfair and BAD for the country. ALSO, not allowed under the LAW!" Trump tweeted. Trump had also signed an executive order authorising sanctions against foreigners who meddle in the US elections in future on September 12.